63 beetle? What's with that front clip and hood? 70's era? no. that one is for Sal! Mexican watercooled bus for sale locally. Wonder if it is registered in BC. Pics still show Mexican plates. "if you ask "how many km's?" this car is not for you." On thesamba, not mine. But a local car! nice paint! (on the running boards and door switches and rubbers. 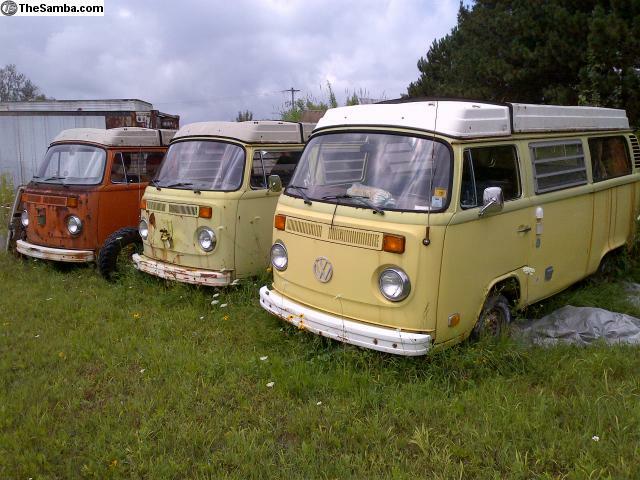 https://www.thesamba.com/vw/classifieds/detail.php?id=2193549 - I used to own this bus..it was very rotten, but repairable by today's standards. 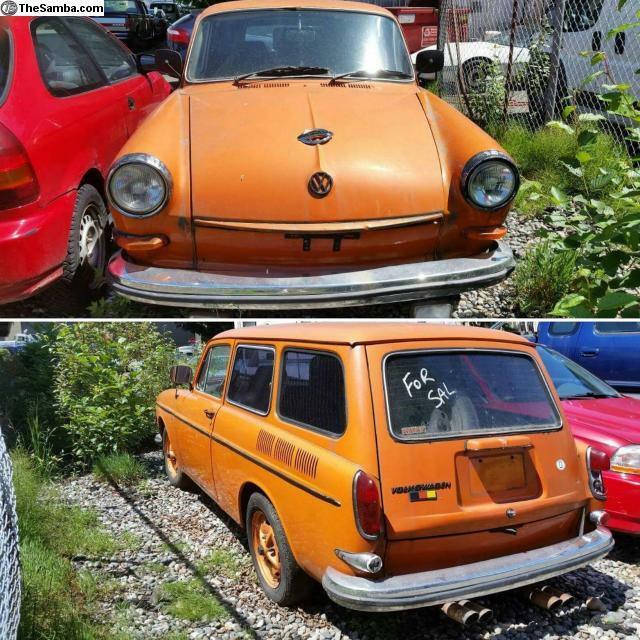 https://www.thesamba.com/vw/classifieds/detail.php?id=2193885 - Neat turbo 1959 bug in Vernon. I went to bed early last night and missed a text from a friend that there was a 1954 barndoor on Craigslist for sale without an engine. The ad is gone now. Who scooped it up???! Nice score whoever got it!!! yup, that add is definately making the rounds! plus...55 westys in newmarket ontario for 350k US + buyer takes all and has to remove them + $500 just to view them = too vague, too much and not worth it, imho. Pics from all over the world = scam. In this case, the scam is the $500 viewing fee. I bet you have to pay it in advance. Exactly what I was thinking, luckily the scammer is a little out of touch on their "package price" so it's not likely to cause the stampede of speculators they are hoping for. ya, i agree and thats kind of what i was getting at a scam is a scam, but what is this seller getting at...? no doubt it reeks of fishy shenanigans, but i was also originally thinking that this seller may have "something", its just not worth posting real pics of it because its all junk, and he/she will get more interest being vague and throwing around some big numbers! the seats look different. 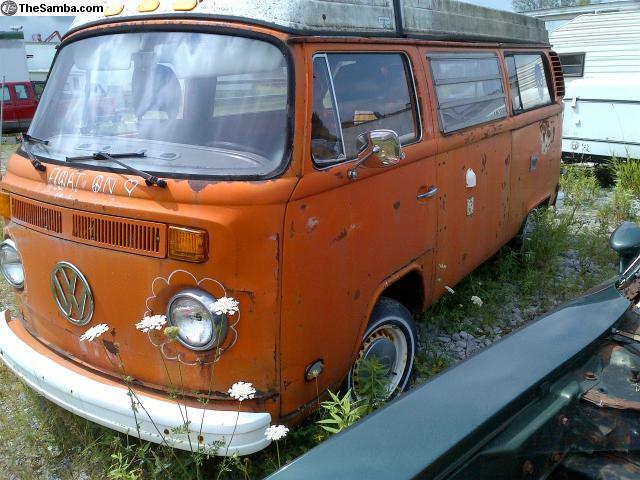 the one in the kijiji add is cleaner, has painted legs & has seat belts. but the white stuffing underneath the left side of both seats is very similar. i think they may be the same seats. even though it looks like some vehicles have been moved around a bit, they all look like the same vehicles. plus, the grammar/spelling/text in the adds is very similar. ...but...will we ever know how many westy's he actually has? Impressive detective work there Mr. B! So it seems he's legit, I can understand his desire to filter out the tire kickers and tourists with the "viewing fee", but he's still way too optomistic with his pricing, especially if he's in a panic to liquidate. Whereas there is one price if he was to sell one at a time to 55 different people, buying all at once is a massive undertaking for somebody and a huge discount would be involved. Also it looks like most are bays so the price has to reflect that. Silas, you should be working for CSIS.